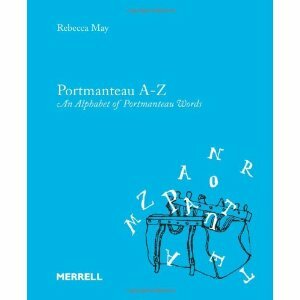 There’s a new book celebrating the art of combining two words into a new word: Portmanteau A-Z: An Alphabet of Portmanteau Words by Rebecca May (Merrell Publishers, $14.95.) It’s hardly encyclopedic, she only chooses 26 words. 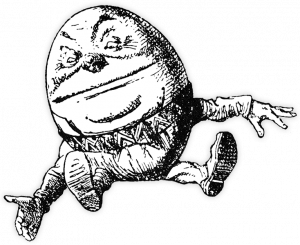 But Lewis Carroll is credited and discussed in the introduction, and Jabberwocky is quoted at the beginning. Among the words she chooses are galumph, uffish, mimsy, Frankenfood, Oxbridge, ruckus (a blend of “ruction” and “rumpus!” I never knew!) and stumblesharf.